DAVID LE/Staff photo. 7/24/15. 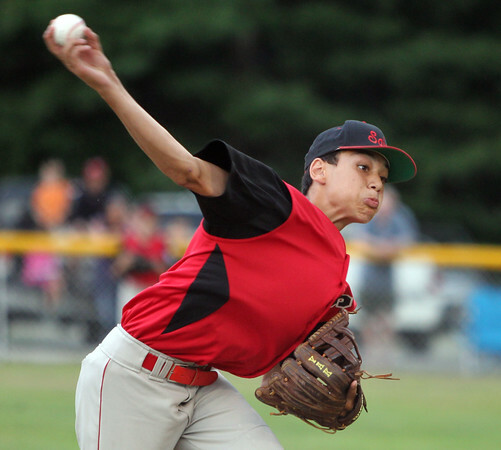 Salem ace Lee Pacheco fires a pitch against Andover in the Section Final on Friday evening.